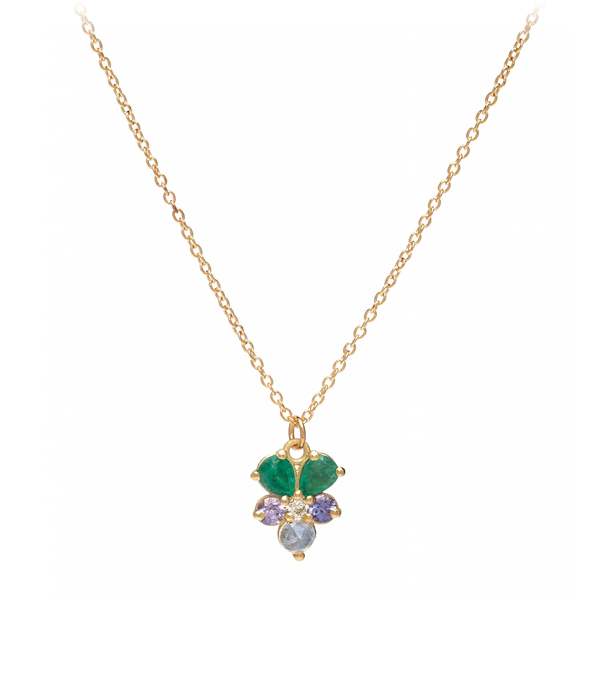 Our petite gem-set 14K matte yellow gold pansy pendant features pear shaped emeralds, purple sapphires, a twinkling diamond (0.05 ct) center and dreamy blue moonstone accent. 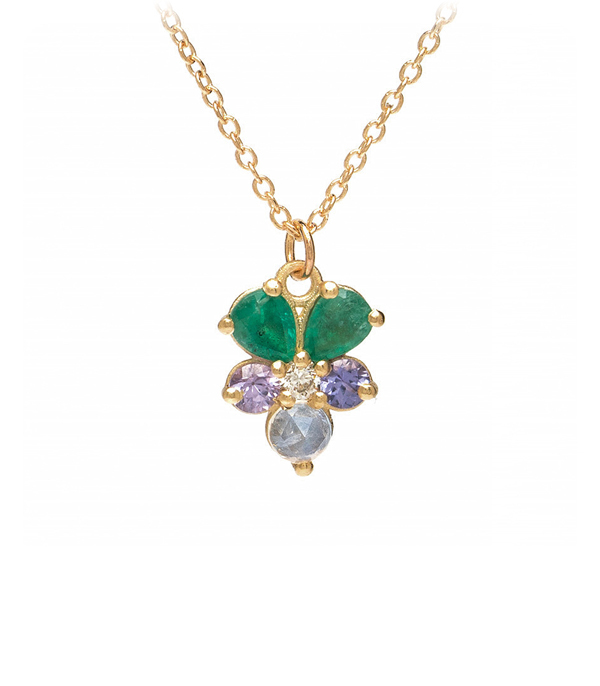 Hanging from a delicate gold cable chain, this colorful charm necklace makes a perfect gift for a treasured friend or loved one. Chain measures 16".